The Life Path 2 describes an entry into this plane of existence by people who have exceptional spirituality in their personality, which can lead them to become great peacemakers. If you have this Life Path, you make an excellent listener and can empathize and understand others more easily. You mediate, use diplomacy and can fix problems through persuasion rather than force. Compromises can be reached more easily so that each person involved in a situation can be satisfied without arguments and struggles. The strength of your spiritual being means you have higher ideals and visions for your life and the world and can be highly intuitive. These characteristics can be quite intriguing to others and very useful to society as a whole. You may enjoy delving into great mysteries and researching unseen facets of the world. Those who exhibit the more positive qualities of Life Path 2 are exceptionally fair and balanced since they can understand all sides of an argument or discussion. As a mediator or go-between, you can usually help others come to agreeable compromises. In general, you display honesty and openness of thought and feeling and prefer to see positive aspects of the world around you and other people. 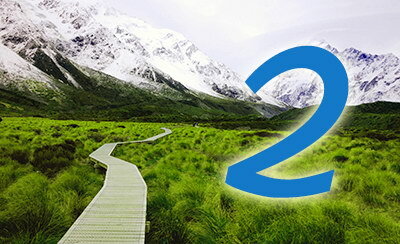 Life Path 2 also has negative traits associated with it, most especially anxiety and nervous tension. These difficulties may lead to extreme focus on an ideal that is disturbing to others, righteous outrage and oversensitivity. It is possible for your strengths to become your weaknesses. Some people on Path 2 are indecisive and struggle with self-starting.